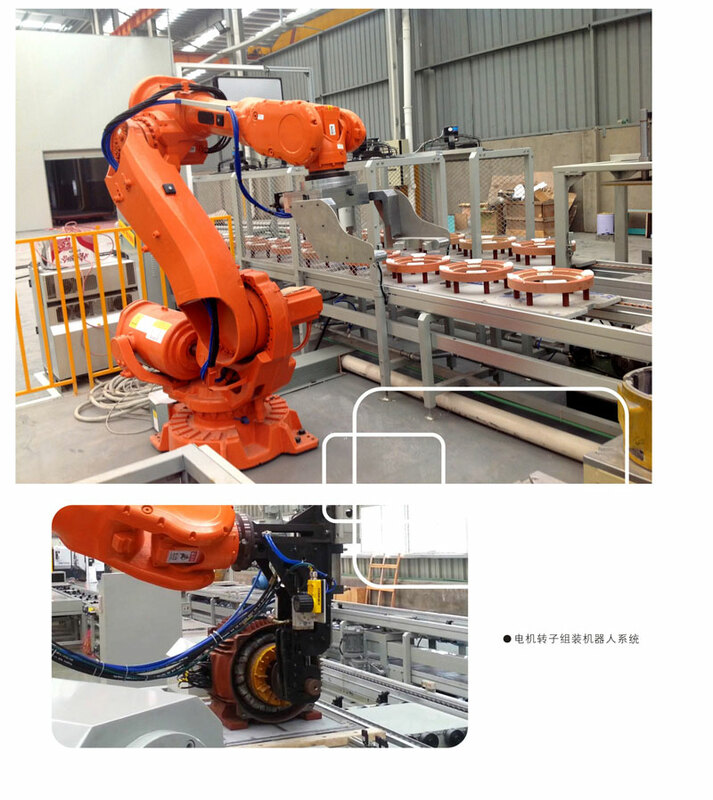 Industrial Robots -Zhongshan Handsome Industrial Equiment Co., Ltd.
Industrial robots (industrial robot. Abbreviated IR) is widely applicable to autonomous action, and multi-axis machinery and equipment. They are equipped with the necessary sensors which include flexible operation procedure , turn all programmable control ( i.e. during operation , without any external intervention ) . They are usually equipped with a mechanical hand , tool or other assembly of the processing tools and handling operation and capable of performing processing tasks. Industrial robots in industrial production can replace people doing some monotonous, frequent and repeated a long job , or dangerous jobs in harsh environments , such as stamping, die casting , heat treatment, welding, painting , plastic molding , simple machining and assembly processes , as well as in the nuclear industry and other sectors , the completion of harmful material handling or process operation. Industrial robots by the body , the drive system and control system of three basic components . Namely the main frame and the implementing agencies , including the arm , wrist and hand , there are some robot walking mechanism . Most industrial robots have three to six degrees of freedom of motion , wherein the wrist is usually 1 to 3 degrees of freedom of motion ; drive system includes a power unit and a transmission mechanism , the actuator for the corresponding movement ; control system in accordance with the input the procedure of the drive system and the implementing agencies issuing command signals , and control.